What is the best way to make a comparison of health insurance companies? Home / FAQ / What is the best way to make a comparison of health insurance companies? If your employer does not offer health insurance or you find yourself unemployed, you will need to find private health insurance. This is needed to protect yourself against the hefty medical bills you could be faced with should you become ill or injured in some way. You should take several steps when you set out to compare health insurance companies and the plans they offer. Begin comparing health insurance rates now. Enter your zip code for a free list of rate quotes from several providers. You must consider personal factors such as your health and budget, and insurance company factors such as their network size and renewal clause. It will benefit you to do a little homework before settling on a health insurance company and plan that meets your needs. How should I begin a comparison of health insurance companies? First, you need to make a list of health insurance companies you would like to explore. It helps to talk to family members, friends, and neighbors to find out about their health insurance providers and what their honest experience has been with those companies. Word of mouth is a great tool. You may also want to search online using message boards and other sites, which offer unbiased consumer opinions of insurance companies. If you are unsure of what companies service your area you may want to visit the National Association of Insurance Underwriters where you can find listings for your area. Once you have made a list of companies begin to narrow them down by doing more in depth research on them. Visit Consumer Reports and the Better Business Bureau for specific consumer ratings on companies and complaint information. You may also wish to inquire about the financial stability and ratings of the insurance companies. A.M. Best rates companies based on their financial outlook. You don’t want to settle on a company only to have it go bankrupt in a few months! How should I compare the different plans offered by the companies I like? How much can you afford for a monthly premium? How much can you afford to pay for a health insurance deductible or for out-of-pocket costs? How often do you typically require medical care or visit a physician for preventative care? Are you willing to find a new doctor if yours is not in a company’s network or would this be a deal breaker? HMO Health Insurance– Health Maintenance Organization – This is often a more affordable option but comes with less flexibility. With this plan, you choose a primary care physician that is within the company’s network and all of your care must be orchestrated through this individual. 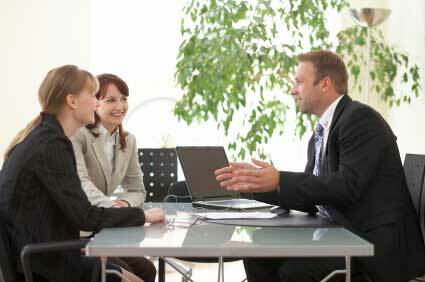 You must get a referral to visit a specialist and all specialists must be within the company’s network as well. PPO Health Insurance – Preferred Providers Organization – This type of plan will cost more but will offer greater flexibility. With it, you have the option to choose a primary care physician or not. Costs are lowest when you see doctors within the company’s network of preferred providers, but you usually are allowed to see out-of-network doctors for a higher rate. POS Health Insurance– Point of Service Plan – This plan combines aspects of both the HMO and PPO. Typically, you designate a primary care physician. You can visit network doctors referred by this person for little cost to you. If you choose to visit an out-of-network doctor, you are allowed to, but will pay most of the cost out-of-pocket. Renewal Clause – Does the plan automatically renew or can your policy be cancelled if you become ill? Once you have compared the companies and plans you need to narrow your search down to two or three companies that appear to meet your medical and financial needs. Now you are ready to compare these companies side by side. Look at each plan and how it compares to the others as well as the rate that has been quoted to you by each company. You can now make a decision about which company will best meet you health care needs without compromising your monthly budget. Begin your health insurance quotes comparison right here, right now. Click here and enter your zip code to get started with a list of companies and rate quotes for various insurance plans.